Meet your guide at an art gallery in trendy Palermo Hollywood and kick off this 3-hour walking tour with a glass of local malbec. Learn about this deep-hued, spicy varietal that originated in the French Bordeaux region but thrives in Argentina's vineyards. 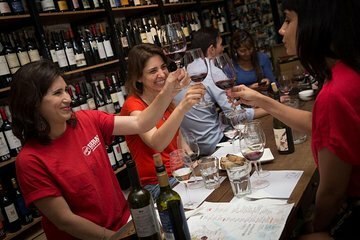 Follow your guide to a hidden wine cellar, where the sommelier will teach your intimate group about the viniculture of Argentina. Taste five different wines while hearing about the cultivation, harvesting, processing and bottling of malbec and other local varietals. Sample a typical picada, Argentina's version of tapas, which includes bread, olives, meat and cheese. Wine selections depend on your group's tastes and what is available that day. Move on to one of Palermo's most popular local bars to taste fernet. This bitter aromatic spirit is often served as a digestif and is immensely popular among Argentines. End your tour here, where you are free to linger or head out to explore the neighborhood on your own.